Something everyone strives for is balance. When I made balance my word of the year I knew work/life balance was something that I really needed to work on. 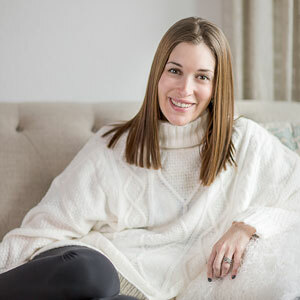 Work/life balance is tricky for a full time blogger. My work and home life are one. I often times am working on the couch, from bed, or in the playroom. Since this is something I have been working on I wanted to share my 4 ways to have more of a work/life balance with you guys. Separate Yourself: As I said above I am horrible about working in all the places with “live.” I will even work at our island while Liam is eating! So my biggest tip is to separate yourself. Sometimes this is NOT possible and I get that, but do it as much as possible. That might mean an office, or a room you don’t use a ton in your house, or even a Starbucks! Unplug when you can: I try A LOT to unplug on weekends. Or at least for most of the weekends. I may use nap time to write a post, work on Pinterest stuff, or take blog photos, but the rest of the time I try to be involved with my home life. That means house work, grocery shopping, swimming lessons, etc. The fun stuff 🙂 I also try to unplug once Andrew is home from work so that we can spend time as a family. So set a daily time you are going to unplug and just let work be. Schedule the work, schedule the life: This sounds silly to schedule the life stuff but sometimes you need to. We schedule date nights, partly because we have a child and we need to find a sitter etc, and partly to ensure it happens! We also schedule outings or special things we want to take Liam to do. I also schedule in my work! I schedule in things that are just for me too. If I want to see a movie alone, have lunch with a friend, take a yoga class etc, it goes in our calendar. Fake it till you make it: Yeah like with some things in life you just have to fake it till you make it. Finding balance is something that is ever changing and always happening. You have to MAKE it happen. Life only gets harder and busier. Having babies, getting married, working, etc, it all takes balance. What are some ways to have more of a work/life balance you’ve found? Admittedly, the balance between my personal life and work leans far more a bit towards work than personal life. I have promised to give myself more me time this year. It’s so true that you have to schedule in “real life” time. Date nights, family outings, etc. If you don’t create the time for it, it won’t happen. I am guilty of not having a work/life balance. We don’t have children in the home so it’s easier for me to just work a lot. My husband loves alone time so that doesn’t make the balance any easier. I have a home office, and I will work while he’s at work (6 am til 3 pm) then after we have time to reconnect and discuss our day, and have dinner. Sometimes I go to bed early with him and sometimes I go back to work. I try to stay each day with a yoga class. It gets me out of the house and my day started. Thanks for your ideas. I’ve got quite a few work gigs and a small business up & running right now and balancing everything while maintaining my sanity has been THE biggest challenge of my life lately. I’m trying to deliberately unplug a bit more often, and actually not feel guilty for it. That’s where the trick is for me. A little voice goes “Your relaxing while the rest of the world is working? ?” Haha silly I know! I’m definitely someone who schedules almost anything – otherwise I’ll forget about it or not have time to actually DO it. Unplugging is a must. I unplug from Friday till Monday. I have to have that mental time or else I am no good. When I was working a corporate job, my life was like, “When you have problems at home, leave them at home. If you have problems at work, TAKE THEM HOME.” Yes, it was that bad. Good thing I was able to free myself from that awful experience. I believe the best way to achieve a good work balance is to establish a delineation between work and personal life and stick to it. No ifs. No buts. These are great suggestions for creating proper balance. Since social media is a big part of my job, I need to do better about unplugging once the workday ends. I’m at the point where when I leave the house, I ask myself if I’m going to need my phone for anything. If not, it stays at home. It’s so nice to disconnect for a time each day. 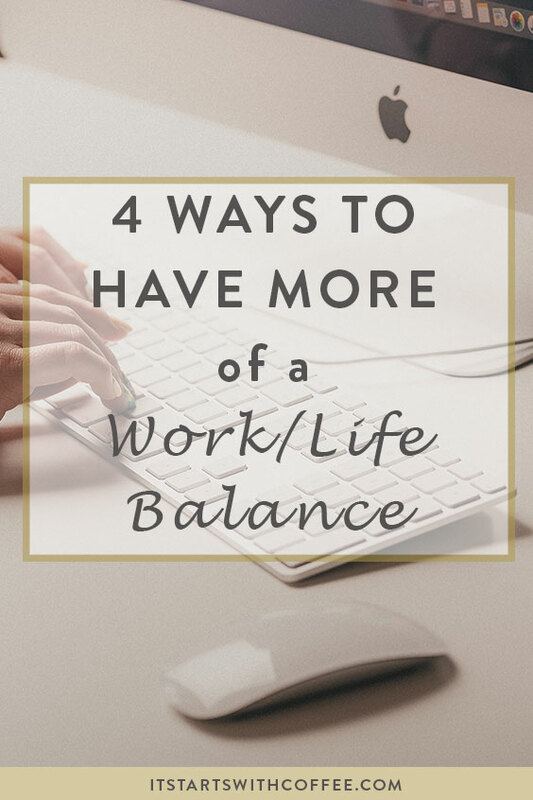 Work life balance is definitely a struggle for me, but these are great tips and definitely something I need to take into consideration. This is so hard for me to do! I love to read but i usually still have the TV or a movie on in the background. I try to be good at scheduling but it is so hard sometimes. I am happy to have found your blog and appreciate the insights regarding work/life balance. Even though my children are no longer littles, they still need my time and attention on so many levels. Still trying to figure out the blogging as a business from home components and often get frustrated with my lack of progress. Seeing your amazing blog design and how you organize your topics makes my brain feel calm. That’s what I needed to see today. Looking forward to following your work and gaining valuable insights as I continue to learn and evolve. Amazing work, Neely!